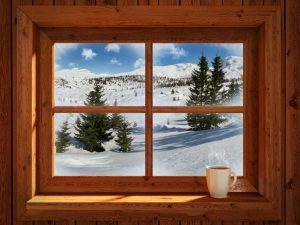 Tips for Smooth Sailing Through the Winter Season | 2nd Generation Chimneys, Inc.
Now Is a Good Time for That Chimney Inspection! Now that there is a noticeable chill in the air once more, you may have already started burning firewood regularly once again. How’s it going so far? Have you already run into issues? Does using your fireplace seem less convenient than it used to? Whatever the case, today’s blog post is for you. The Minneapolis, MN fireplace professionals on the 2nd Generation Chimneys, Inc. team are here help. We’ve put together some helpful tips to help you make it through the winter warmly and conveniently. And, if you’re feeling like you missed the boat this winter, don’t worry. Later is better than never in many instances and, if nothing else, you can always keep these tips in mind for next year. So read on, reach out to us with any questions that you may have, and show another Minnesotan winter who’s boss around your residence. The season is too long and too tough to be pushed around by the elements in your home! It can be tough to remember during a particularly hot summer season, but temperatures can drop very quickly and suddenly around here. You do not want to be caught off-guard when that happens, and you also do not want to be putting a potentially dangerous fireplace back into regular rotation just because the chill of the winter season caught up with you. By scheduling your chimney cleaning and fireplace inspection services well before the predicted start of the usage period, you can ensure that the system is ready to go by the time that you do need it. That way, you don’t have to worry about compromising your comfort, or even just your enjoyment of your fireplace, in order to protect your safety. You may be one of the individuals that harvests and seasons your own firewood, and we applaud you for that. Self-sufficiency is an admirable trait, and that is some seriously hard work. That being said, a lot of homeowners don’t have the time, knowledge, or means for doing so. They instead turn to firewood dealers for their wood. We recommend that you get in touch with a reputable firewood vendor well before you are going to be burning any wood. After you’ve built up a relationship with the vendor and get to know your needs, you may even be able to set up an automatic delivery of the right amount of wood for your needs. Regardless, don’t wait until the last minute to get your order in. Prices may be higher, and delivery schedules will certainly be tighter, leaving you less time for splitting and stacking! Soft woods are going to burn up quickly, and they won’t burn as cleanly as hard woods. If you find a deal that seems too good to be true, well, there may be a reason for that. Firewood is not something to skimp on. Make sure that you are buying wood that has been seasoned for at least 6 months to ensure a good burn, and opt for hardwoods that will produce less creosote. Have questions? Just give us a call. Schedule your fireplace services with 2nd Generation Chimneys, Inc.